"Bernie" Young & Associates, Inc. - "Bernie" Young | "Bernie" Young & Associates, Inc.
“WOW!”, “FANTASTIC!”, RELEVANT & “FUN!” are just some the words clients have use to describe the dynamic speaker, trainer, and consultant, Bernadette “Bernie” Young. Bernie is the president and managing partner of “Bernie” Young & Associates. She is a graduate of Eastern Illinois University (1971) where she was named a Distinguished Alumnus in 1987. She has been an adjunct professor at several Chicago area colleges and has appeared on both radio and television. “Bernie” is an international speaker who according to one reporter, “plants the seeds of passion within her audience, spurring them on to new heights in self-motivation and fulfillment”. As a consultant, professional speaker, and corporate trainer for over 30 years, “Bernie” has and continues to design, consult and present programs and processes in the areas of leadership, team development, strategic planning, customer service, communication, quality, volunteerism, and hospitality. Quaker Oats, Square D Corporation, American Hospital Association, Institute for Supply Chain Management, Smith & Nephew, FTD, Del Pharmaceuticals, Tech Data, Honeywell, Marriott, Nokia, Transitions Optical, Florida Blood Services, Johnson & Johnson Health Management and scores of municipalities, chambers & hospitals are only a few of the hundreds of customers who are benefiting or have benefited from Bernie’s expertise, humor and know-how. “Bernie” served on the CEO search committee for the St Petersburg Chamber CEO and was the Interim President/CEO of the Chamber from August 2005 – February 2006. She is the author of many articles, Audio Tapes, CD’s and Handbooks on change, teambuilding and leadership including, “When the Shift Hits the Fan!” (A Practical Guide to Dealing with Change),”Difficult or Just Different?” (Dealing with Team Conflict), “Once Upon A Team” and “T. L. C. = Teamwork, Leadership, Cooperation”. “Bernie” has also designed and facilitated customer service systems for municipal leaders & frontline of City and County Governments as well as Hospitals and Healthcare systems titled “P.E.R.M.I.T. Us to Serve You”, “S.M.A.R.T. Service” and “Service for L.I.F.E.” Her most recent (2005) service system was created for the St. Petersburg Pier, under the theme – The P.I.E.R. Team Approach to Customer Service. “Bernie” continues to be very community oriented and has donated time and expertise to the following organizations in developing their organization’s Vision, Mission, Leadership and Team direction. These include: OASIS (at USF, St. Petersburg), American Heart Association, Christmas ToyShop, Florida International Museum, St. Vincent de Paul Society, Rotary, Kiwanis, Family Resources, YouthLead, Blessed Trinity Catholic Church (where she also serves as a lector and Eucharistic Minister), CASA (Community Action Stops Abuse), United Way, Diocese of St. Petersburg, A Gift for Teaching, Society for Human Resource Managers, American Stage Theater, Boys & Girls Club, YWCA, St. Petersburg Suncoasters, St. Petersburg Chamber of Commerce and Alpha House. 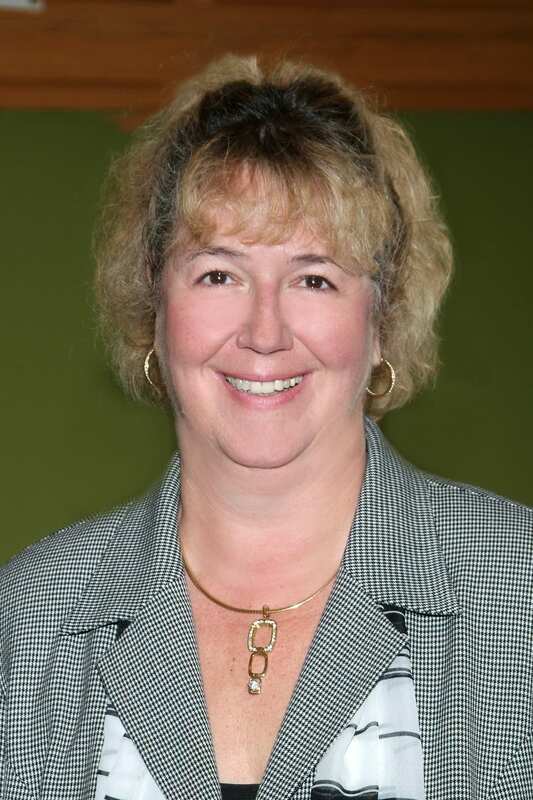 She is the past president of Executive Women in Sales & Marketing, and has served as a member of the Mercantile Bank Maximo community board, OASIS Board of USF, and the advisory board of Mid-Pinellas Homeless Outreach. Bernie has also served as the Chamber’s Vice Chair for sports, tourism and special events and is a past Chair of the Board of Governors of the Chamber. (1999-2000). She is a (1994) graduate of Leadership St. Pete. For her chamber and community efforts, Bernie has been awarded the “Chamber, Paul J. Getting, Member of the Year” Award (1995), the “Rotary Spark Plug of the Year” Award (1997) and in 2002 was named as one of “10 Outstanding Businesswomen of Tampa Bay” by the Tampa Bay Business Journal. In 2004 she was awarded the Sunny Award from the St. Petersburg Suncoasters and was awarded the Leadership St Pete Alumnus Award in 2007 for her ‘contribution to the betterment of the St Petersburg community”. She is the past president of Executive Women in Sales & Marketing, and has served as a member of the Mercantile Bank Maximo Branch community board, OASIS Board of USF, and the advisory board of Mid-Pinellas Homeless Outreach. She has also served on the board of the St. Petersburg Suncoasters as well as the board of American Stage Theater. In 2002, “Bernie” Young & Associates, Inc. was named the Outstanding Business of the Year (25 or less employees) by the St. Petersburg Area Chamber of Commerce. Over the past years, while serving as Vice-Chair of several divisions of the St. Petersburg Area Chamber of Commerce, Bernie developed the South Central Business Council, started the South Central Rotary club (and was its President for a year), helped launch the Black Business Round Table, the Mentor-Protégé program and was a faculty member for the Chamber’s Entrepreneurial Academy for 36 sessions (over 10 years). Bernie has also served as the Chamber’s Vice Chair for sports, tourism and special events and is a past Chairman of the Board of Governors of the Chamber. (1999-2000). She is a (1994) graduate of Leadership St. Pete. She currently serves as Chairman of the Board of Trustees of Bayfront Health Systems (where she also chaired the Quality Committee for Bayfront Medical Center until February 2012). Bernie is the immediate Past President of the Board of the Heart Gallery of Pinellas/Pasco (finding forever families for foster children) and Chairs the Strategic Planning committee on the Board of Academy Prep Center-St Petersburg. She and her husband Joe have been married for 40 years (she had to ask him 4 times to marry her!) and they live in St. Petersburg, FL. They have a married daughter, three beautiful grandchildren (Camron, Ashlynd & Evelyn) and in 2009 adopted 2 teenage ‘Young’sters, Jesse & Sara (through the Heart Gallery).